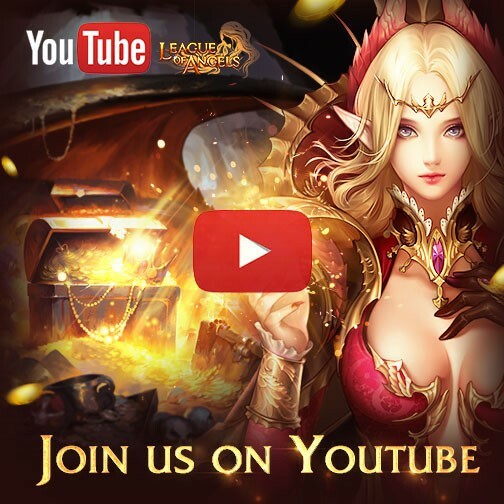 The League of Angels team has created our official YouTube channel! We want to make it as a YouTube community for everyone who plays LoA to come and create videos for everyone to watch. In this community we learn and share everything about League of Angels together. We will bring more interactive things for all of you via the LoA YouTube Channel. •Do you own an active YouTube channel about gaming topics or something else with 100 or more subscribers? •Do you own 2 or more gameplay or live stream videos on YouTube? So if you have such a YouTube channel or video, please don’t hesitate to send us a message via email to Leagueofangels1GTArcade@gmail.com with the subject line “Join LoA YouTube Community”. And please don’t forget to add the following information: your YouTube channel/video link, your IGN, and your Server. We'll reply as soon as possible! 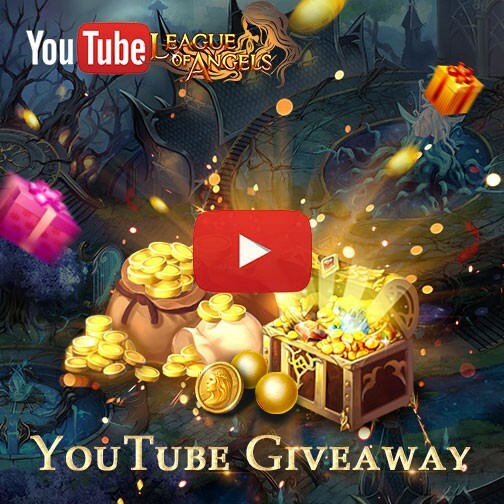 To build the LoA YouTube community, we are launching a giveaway. In this giveaway, we will select 30 lucky players and give away 2,000,000 Gold + 3 Bless Stone Chest to each on August 15, 2016. Check out our official forum for more information! Last: Visit GTArcade at Gamescom and Get Free Gifts! Next: New Server Nocturna ​Arrives 9:00 AM August 31st 2016 EST!